Everyone has a dream but we’re so blessed that our dream has finally come true. We had the good life – we lived in Dallas and had a nice home, wonderful children, promising careers and all that qualifies for the good ‘ole American life in suburbia. Our children excelled in school and had many friends. We were in close proximity to entertainment and restaurants, museums and parks, movie theaters and concert halls. As our children grew we found ourselves in a stagnant rushed daily pattern of get up / go to work / work all day / come home / try to live life. It seemed we were stuck on a pattern of rush – shower – sleep – REPEAT! It felt like we were doing the same thing every day and we no longer felt fulfilled. When our children graduated high school and went off to begin their own lives, we really began to feel even more out of place. We wanted something more. We began looking for a piece of property that would suffice for a weekend getaway. 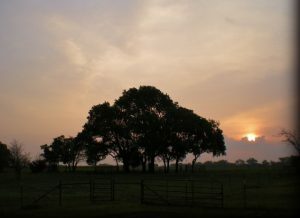 But when we found this piece of paradise in Northeast Texas we knew this would be where our future was to be found. As we stood next to the cobbled-together gate and viewed the overgrown and cluttered property, the old and broken fences and the tattered 1880’s barn, it was apparent that we had LOTS of work ahead of us! But with renewed hope for a new and exciting future we took that leap and purchased the property. The first several years were a (hard) work in progress. 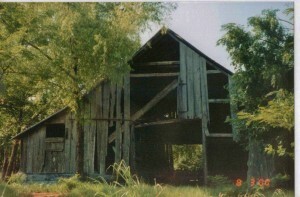 We came from the big city on weekends to clear trash, repair the barn & remove multitudes of dreaded Honey Locust trees. We wanted to restore this property to its original beauty. But although it’s a work in progress, several years of hard work have polished it beautifully. But now what to do with it? It’s really just a bit too large to become only a weekend getaway. Could it be possible we could actually make a living here? One of our first local acquaintances was a veteran cattleman who purchased our first calves for us at a livestock auction. We’d never been to an auction before and were very intimidated by the entire process. But this wonderful gentleman purchased those first steer calves for us. Then he brought them to his own corrals to work them for us, & delivered them to our own fledgling ranch. There was no looking back! We decided that we liked the old-time western look of the Hereford breed. 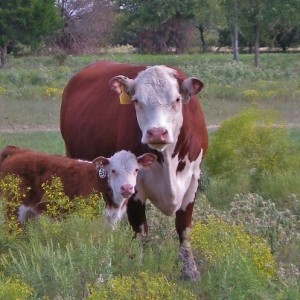 So we contacted a breeder and purchased our very first registered Hereford pairs. We’ve built our experience from there! We’ve gone from that timid inexperienced landowner to raising a herd of registered Hereford cows. Now RancherMan is even certified to get them bred through the complicated procedure of artificial insemination. That not only allows us access to some of the greatest genetics available, but also eliminates the need for a bull to be present on our ranch if we desire. Living where we do has taught me a new appreciation for the beauty God has blessed us with each and every day. I notice the small things more – the beauty of the first tiny spring flowers to peek out from the sleeping grass, the graceful hawk that calls to her young as she teaches them to fly, and the amazing array of colors present on a butterfly’s wings. I try to be as gentle as I can as I tread on this land and in this life. I’ve learned to improve our garden soil so that I can produce more of what we eat . Our garden is so productive we’re able to share with friends, neighbors and community. There’s even enough to preserve by freezing, dehydrating and canning the rest for winter meals. I’ve learned to preserve the rainfall by capturing what flows from our roof into a 55-gallon rain barrel from one downspout. And we divert another downspout into a huge 20-ft deep underground concrete cistern for garden irrigation. I’ve learned about the price paid for convenience foods in currency, health and environmental terms and I’ve begun to make many of those things myself. I’ve learned to make cold-pressed soap as well as cleaning products, spice mixes, yogurt and pasta. As a result I’ve become so much more aware of my environmental self. And I’m pleasantly surprised at how easy it is to make small changes that have a real effect. One step at a time I find that I’m rediscovering myself. I’ve heard the phrase “Bloom where you’re planted” and I’m so blessed to have been planted here! C’mon by & sit a spell! Come hang out at our Facebook Page . It’s like sitting in a front porch rocker with a glass of cold iced tea. There are lots of good folks sharing! And you can also follow along on Pinterest, Twitter or GooglePlus. 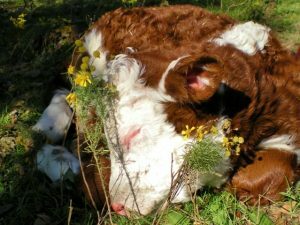 This entry was posted in Blog Posts and tagged Barn, Calves, Environment, Gardening, Ranch Life, Registered Hereford, Small Town Living on December 24, 2013 by Texas Homesteader. I so enjoyed reading about your journey to owning a piece of the simple life. It sounds WONDERFUL!! What a gift the Lord has given you and given us as you share your “piece of Heaven” with us week after week. Blessings. What a great story! I love your photos! I adore this so much! This is what I want! It’s so awesome that the dream came true for you! I’ve read this story several times and I love it more each time…it gives me hope!!! I will have to follow you. I’m from Texas but stuck in Florida for now. I get so homesick. Thanks for the pictures. Michael – I was born in Florida and grew up outside Gainesville. Moved to Texas with family and was so homesick for Florida, I jumped at the chance to move back nearly 20 years later. After living there 2 years, I BEGGED to move back to Texas! I miss some things from FL, especially my oldest daughter who is still there raising her family, but wouldn’t move back for anything! Two sayings have stuck in my head over the years. First being “you can’t go home again”, but the second is “I wasn’t born in Texas but I got here as fast as I could”! Now if I could just get that little farm of my own and get out of town! I so know what you mean, I was born and raised in Chicago. I left 8 years ago, and never looked back, I never knew how graceful and entertaining squirrels could be. Never have I seen so many different bugs, and yes they intrigue me. 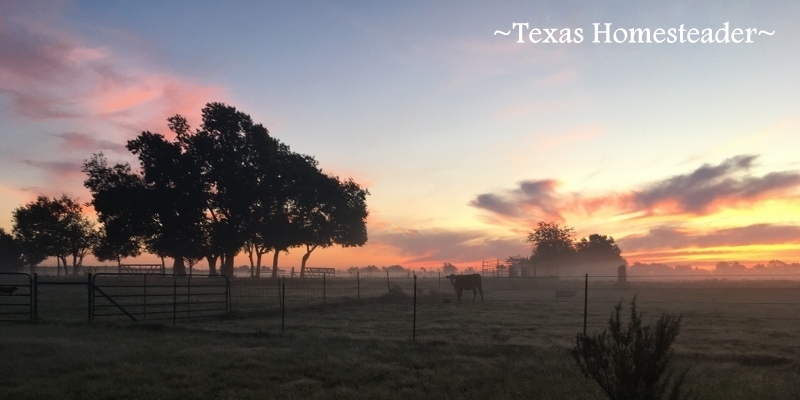 Moving to the country from the city is like being reborn, of seeing the world for the first times, thanks so much for sharing again on Tuesdays With a Twist. Merry Christmas to you and Rancher Man and family. May you have a blessed and wonderful New Year!